Watch this video and learn how to make these cute Pot O' Gold Doughnuts, which are a great treat to make for Saint Patrick's Day. This is a guide about making pot o' gold doughnuts. 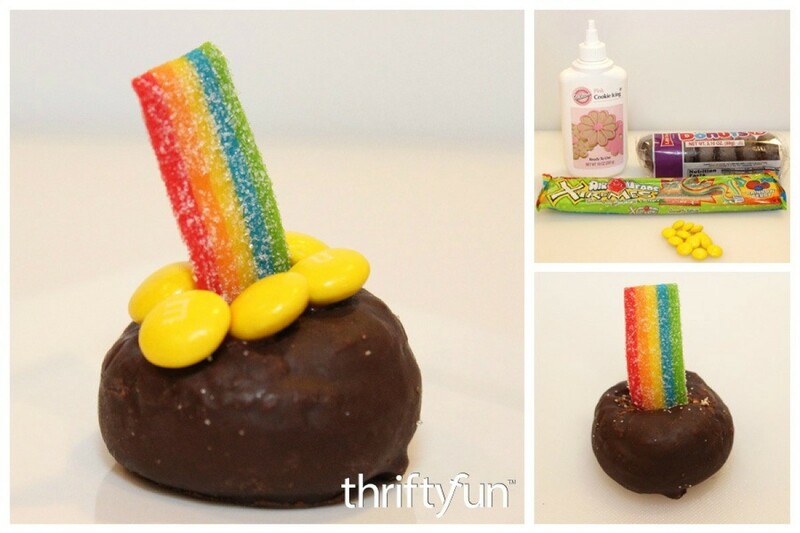 Make these tasty treats for a St. Patrick's Day party and find the doughnut at the end of the rainbow.